Infopulse earns distinction through commitment to academic customers. 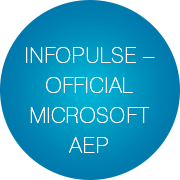 Infopulse today announced it has become a Microsoft Authorized Education Partner (AEP), demonstrating its ability to meet Microsoft academic customers’ evolving needs in today’s dynamic business environment. To earn a Microsoft AEP authorization, partners must complete a test to prove their level of academic licensing and market expertise. 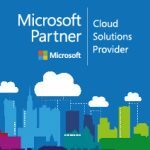 As a Microsoft Gold Certified Partner in 8 major competences since 2014, Infopulse meets the highest demands in implementing Microsoft technologies and providing Microsoft-based solutions and services. Since the foundation, Infopulse keeps growing its knowledge base and academic assets in cooperation with the strongest industry leaders like Microsoft. An expert in Azure, Office 365, Dynamics CRM, SharePoint, Power BI, Cognitive Services and other Microsoft technologies, Infopulse is a one-stop-competence-center for Microsoft solutions and services. Providing end-to-end digital services and consulting, Infopulse brings in over 27 years of IT expertise to enable the digital transformation of its clients in 25 countries worldwide. 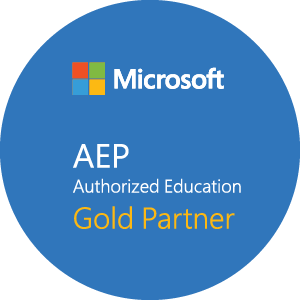 The very fact of receiving Microsoft AEP authorization is a recognition of our expertise in technologies and a proof of our commitment to excellence in education. In academic sense, it aligns our strong competences in Microsoft products with their academic achievements,” said Ivan Musiienko, Head of Microsoft and Cloud Practice at Infopulse. “This authorization expands our opportunities in education sector to spread cutting-edge technologies and advanced know-how. Finally, as technology advisers, we believe that this respectable rank of an Authorized Education Partner promotes our relentless efforts to build on our customers’ success, strengthen trust and contribute to the world’s digital transformation. By becoming AEPs, partners show themselves to be committed and trained in providing discounted Microsoft academic products to the education market,” said Anthony Salcito, vice president of Education for Microsoft Corp.’s Worldwide Public Sector. “This authorization, along with our other education partner initiatives, gives our partners recognition of their areas of expertise and our academic customers the confidence that they are buying from academic IT specialists. Infopulse is the IAOP Global Outsourcing 100 Company and IT solutions provider with offices in 10 countries across Western and Eastern Europe. 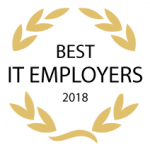 Being part of EVRY, one of the largest IT companies in Scandinavia, Infopulse continuously enjoys top ranks in Best Employer Ratings with a current team of 1,900+ experts. Focused on Automotive, Banking & Finance, Energy & Utilities, Healthcare & Pharmacy, Manufacturing, Retail & Wholesale, Software & High-Tech, Telecom and other industries, Infopulse provides its clients with quality services, customer-specific technologies, and comprehensive expertise basing on full “value chain” approach.